Join us for a Wildlife Safari Park Campout and experience Nebraska like you never have before. During your stay, you'll learn about native Nebraska animals, eat s'mores around the campfire and see the stars away from the city lights. The cost is $40.00 per camper and includes breakfast, admission to Wildlife Safari Park for the following day and a visit from one of our animal ambassadors. A minimum of 15 campers is required. Check out this NEW Program made especially for you. This Family program focuses on families of all ages that are wanting to discover what spending the night at the Wildlife Safari Park is all about without actually spending the night. Guests will experience a night hike, dinner, s'mores and campfire. All camps are from 4:30 p.m. to 8:30 p.m. Cost is $25 per person (children under 1 are free). Prices reflect member discounts. Wildlife Safari Park group Campouts are for Families and Small groups that are unable to make the minimum participants for a private overnight (15 participants). Groups will stay in separate tents with cots or are welcome to bring their own tent for use. Guests must be four years of age or older. Cost is $40/person and program includes park admision, overnight stay, guided evening hike, evening snack, light morning breakfast, and animal ambassador visit. Guests are welcome to bring their own tents or additional food and drink (non-alcoholic) during their stay. 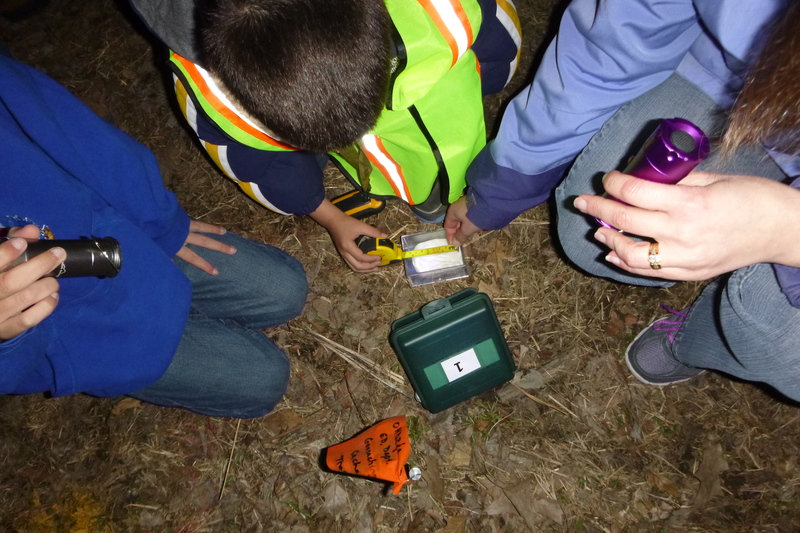 Join us and learn how to identify frogs in your area and help Scientists. We will also performing our annual count of plants and animals in our Park to learn about the native species that live here. International Migratory Bird Day will be celebrated at Wildlife Safari Park on 5/4/19. Stay the night before and join naturalist as we wonder the early hours in search of native birds in our park. Croakers on the Creek is 6/1/19 at Wildlife Safari Park so Campout guests will get an early pre-chance to learn about our green and brown friends and how to listen to their calls. Guests will get a chance to walk our prairies at sunset and sunrise. Come enjoy the peaceful beauty of prairie existance. Sleep outside city limits and view the Perseid Meteor Shower. Ever wanted to put on rubber boots and walk a creek? Now is your chance. Stay the night and walk our creeks to see what wildlife you can find. Monarch Butterflies are migrating through Nebraska in late August and September. Guests will be trained on how to tag a monarch and perhaps get a chance to tag one. Join us as we celebrate our Family Halloween event and then stay the night. Price includes ticket to event and overnight experience. Focus of overnight will be learning about our wolf pack. 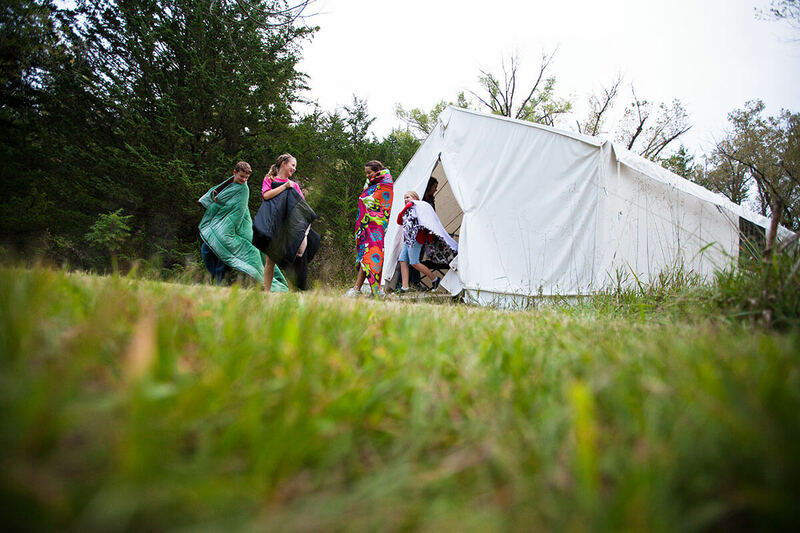 Private campouts are available for schools, churches, boy scouts, girl scouts, summer camps, families and more with a minimum of 15 people and can be reserved for any open date during the Wildlife Safari Park season (April - October). Guests must be four years of age or older. Cost is $40/person and program includes park admission, overnight stay, guided evening hike, evening snack, light morning breakfast, and animal ambassador visit. Guests are welcome to bring additional food and drink (non-alcoholic) during their stay. 2019 Registration are Open - Reserve Your Date Today! Walk in the footsteps of conservation biologists as you find clues to a possible new species at Wildlife Safari Park. 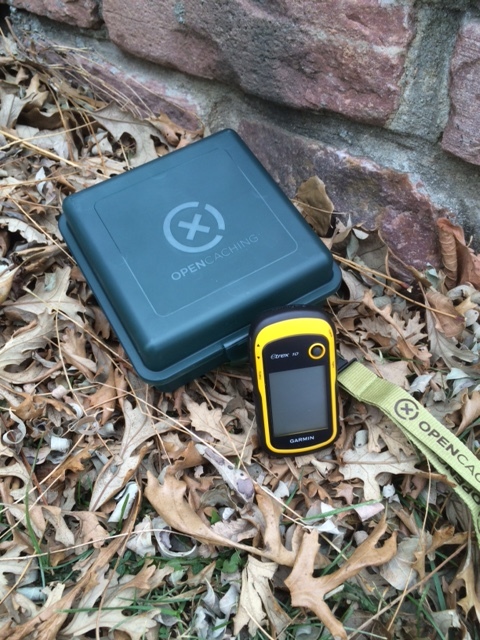 Guests will use GPS devices to find caches that hold hints related to the animal you are tracking. 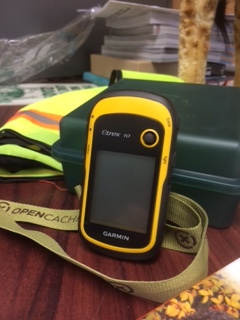 GPS devices are provided along with navigation training. 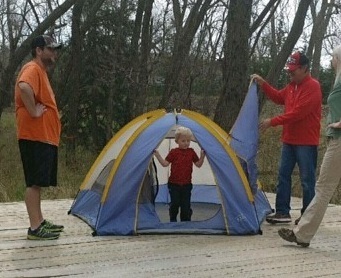 This private campout is available for groups of 15 participants or more. Program includes educational programming, overnight stay, admission to Wildlife Safari Park, an evening snack, backpack breakfast and animal visit. Cost is $55 per person and reservations are required. Must be at least four years or older. 2019 Registration is Open Now - Reserve your Date Today!